We have expanded our business to include the Upper Country of Midvale, Cambridge, Council, Indian Valley, and the surrounding area. Mark Hetz, who owned Cambridge Plumbing, has joined our team at TVPD, bringing with him over 35 years of experience in Commercial Plumbing & Estimating. 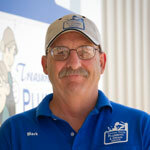 We’re excited to grow our business in the direction of Commercial Plumbing, and to have Mark on our team.